In most cases, if you have a mortgage on your home, your lender will require you to carry homeowner's insurance coverage. Even if you do not have a mortgage against your property, it is a financially sound decision to carry a homeowner's policy to protect your investment. While policies may vary, the basic homeowner's policy is divided into four parts. 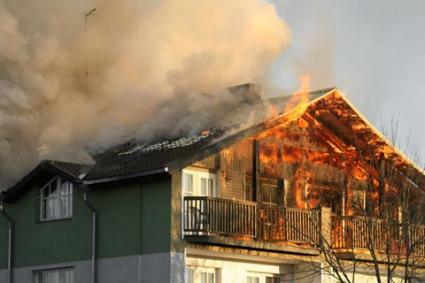 Minus a deductible, your insurance policy is likely to cover the repairs or the rebuilding of your home in the event it suffers damages due to arson, accidental fire damage, and certain acts of nature, such as hail damage or a lightning strike. The structural damage clause in your policy may also cover damage to any detached structures as well, so if your detached garage or tool shed is blown away in a tornado, you can find some solace in the knowledge that they will be replaced without taking a huge chunk out of your savings. As pricey as the home itself can be, you might be surprised what it would cost to replace the contents. This is why most homeowner's insurance policies also insure your belongings against damage or theft. Policies generally cover the contents as a percentage of the value of your home. For example, if the policy covers the contents up to 50 percent of the value of your structure and your home is valued at $100,000, you would be limited to collecting $50,000 from the insurance company to replace your furniture, appliances, clothing, electronics, and other possessions. This is why it is important to keep a running inventory of your household belongings to make sure your coverage is sufficient to replace those items. Unfortunately, some of the most important things in our homes have more sentimental value than monetary value. Jewelry, furs, and certain collectibles may be covered under different limits, which may require you to purchase additional coverage to make sure these items are covered in the event of theft. It is important to carry a liability component to your homeowner's insurance policy in case someone is injured on your property or if their property is damaged on your premises. This coverage also applies if you are on someone else's property and accidentally damage something of theirs. For example, if your son breaks the neighbor's window while playing ball in their backyard, your policy would pay to have the window replaced. In the event you or a member of your family are sued for bodily injury or property damage, the policy is also likely to cover your legal costs and any court awards against you up to the policy limits. In general, property damage liability coverage ranges from $100,000 to $300,000, but additional coverage can be purchased. Personal injury coverage usually only covers a few thousand dollars. In the event your home is damaged so greatly that you will have to find temporary accommodations elsewhere while repairs are being made, this portion of your homeowners policy will cover the hotel bills or rent, meals, and incidental living expenses. Often this coverage is quoted as a percentage of the coverage on your home or as an unlimited amount for a limited timeframe. Shop around. Not only are insurance policies structured differently, the costs can vary greatly. Raise your deductible, but only to the point where you can afford to pay it in the event there is an emergency. Many insurers will discount your policy if you take certain security measures, such as installing smoke alarms and security systems. Maintain a good credit history. Premiums costs are directly affected by the policyholder's credit rating. While homeowner's insurance can alleviate your monetary concerns during certain times of disaster, you may need to purchase additional coverage to protect you and your property against earthquakes and flood. It is also important to review your coverage frequently to make sure it is still adequate. Keeping a running inventory of your personal property, along with the replacement value, will go a long away toward assuring you have enough insurance to meet your needs.